Thomas J. Keegan is a Managing Director in the Private Banking and Investment Group at Merrill Lynch. 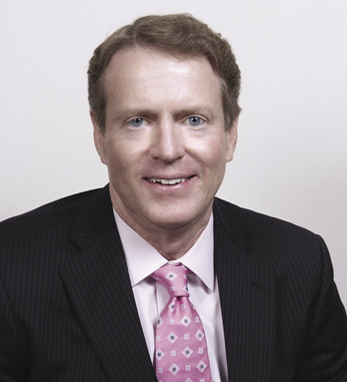 Tom began his career at Merrill Lynch in 1980 and is the Co-Founder of Private Executive Services. Primary clients serviced include executive officers of public and private companies that have amassed significant wealth requiring sophisticated protection strategies. Tom has been named to the Barron’s Top 100 Advisors list from 2009-2015. Tom was former Chairman of the Private Banking and Investment Groups Advisory Council to Management and is now the current Chairman of the Institutional Advisory Council to Management. As a third-generation Irish American with Roscommon and Cork roots from both parents, one of Tom’s favorite quotes is “There are two types of people in this world, those that are Irish and those that wish they were Irish.” He lives in Fairfield, CT with his wife Patti and they are proud parents of four wonderful children. Both are Benefactors and Sponsors of the Norma F. Pfriem Breast Cancer Center as well as hosts of the Center’s annual fundraising event. They also serve on the Parents Council of the University of South Carolina and volunteer with St. John’s Bridgeport Soup Kitchen. Tom received his B.S. from Providence College, where he now serves on the Board of Trustees.